This is my new fave cake! 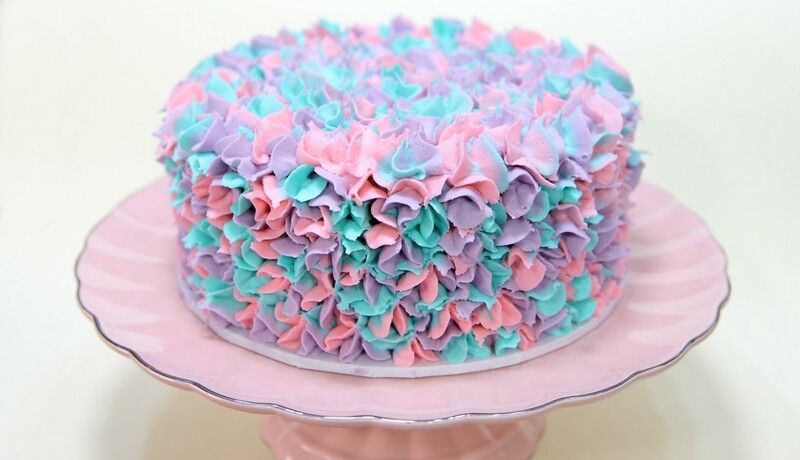 I love floral scented cakes. My vanilla bean and rosewater cake has been a favourite of ours for years. This time I’m pairing lavender with a rich white chocolate ganache, and I think it’s safe to say, we have a new favourite around here. In a large bowl, on the medium speed of an electric mixer, cream the butter until smooth. Add the sugar gradually and beat until fluffy, about 2 minutes. Add the eggs, one at a time, beating well after each addition. Add vanilla extract and vanilla bean paste. Add the dry ingredients in three parts, alternating with the milk and sour cream. With each addition, beat until the ingredients are incorporated. Using a rubber spatula, scrape down the batter in the bowl to make sure the ingredients are well blended. Pour the batter into the cake tin and bake for 1 hour 40 mins or until a skewer comes out clean. Coarsely chop the chocolate and place in a medium to large bowl. Measure the cream into a medium saucepan and place on medium heat along with lavender. Stirring with a wooden spoon, bring the cream to just before boiling. Using a strainer to collect the lavender, pour the cream directly into the chocolate and allow it to sit for 1-2 minutes. Using a whisk, combine the chocolate and cream and stir until it forms a thick liquid. Place water in a large saucepan on medium heat, and set the bowl of ganache over it. Stirring with a rubber spatula, continue to heat the ganache until it reaches 42°C / 107°F. Take the ganache off the heat, and pour into an airtight container. Allow to cool, preferably overnight before using. I added purple food color just to give it a little pop! Simple design, basic technique gives an impressive result. 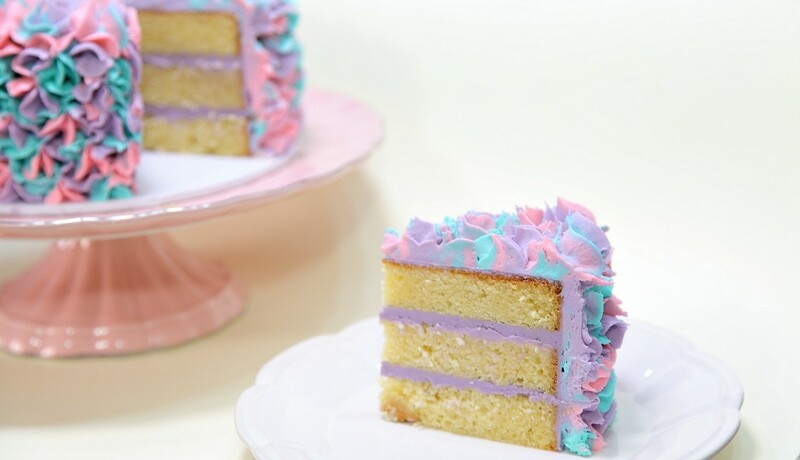 Is the cake in the picture just made from one lot of the cake recipe above and cut into three equals layers?